for 1-2 hours or until easy to handle. before removing from pans to wire racks to cool completely. 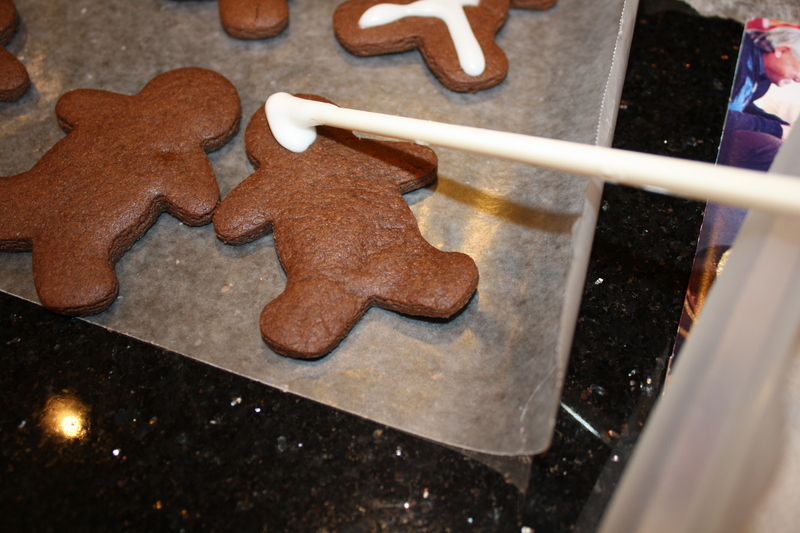 bag; fill with icing. 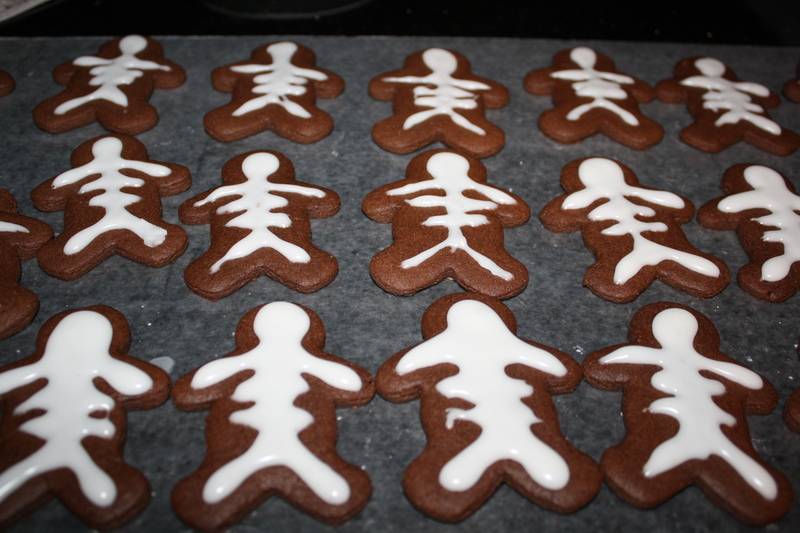 Pipe skeleton bones on cookies. 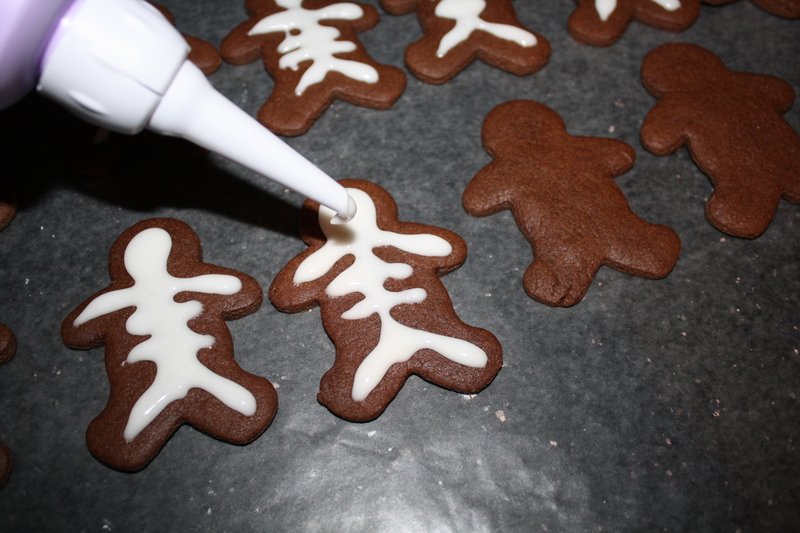 I started by creaming the butter and sugars together. 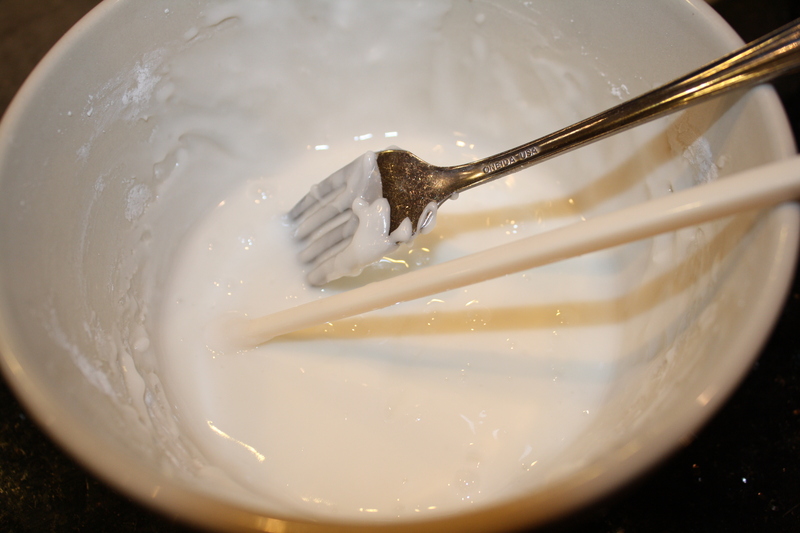 Then I added the egg and vanilla. 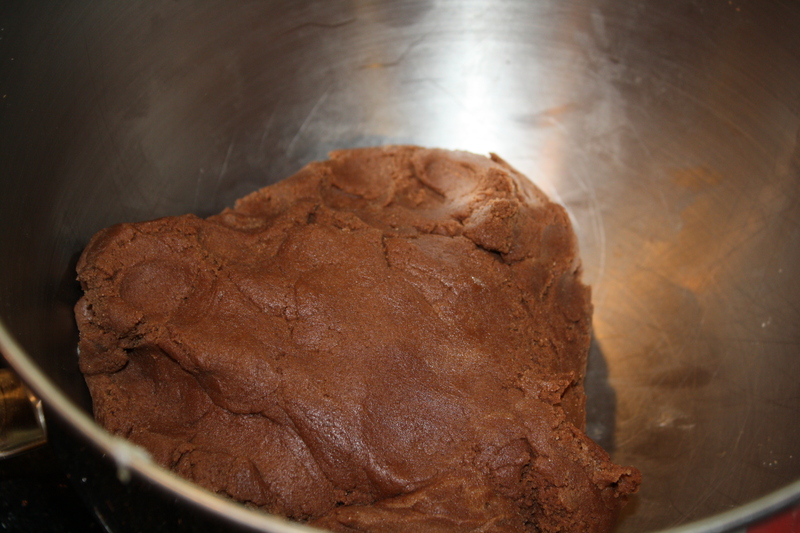 In a separate bowl, I combined the flour, cocoa powder and baking soda. 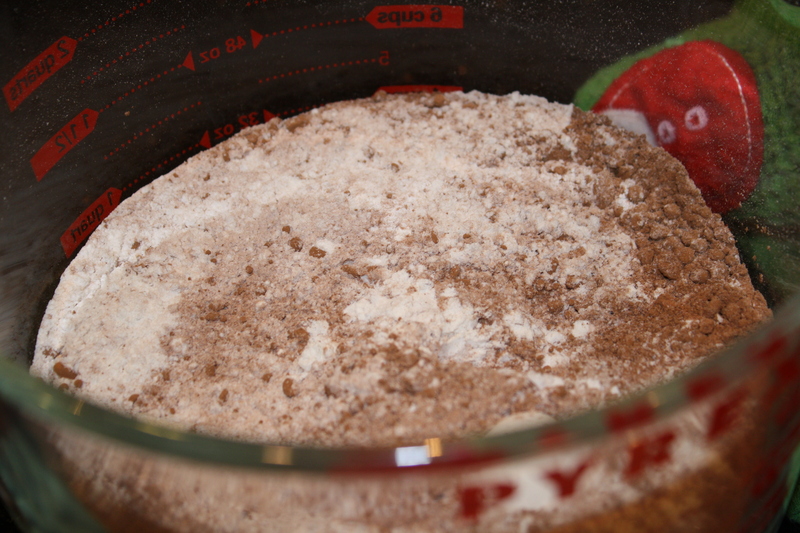 Then I mixed that in with the wet ingredients to get a kind of dry dough that broke apart easily. 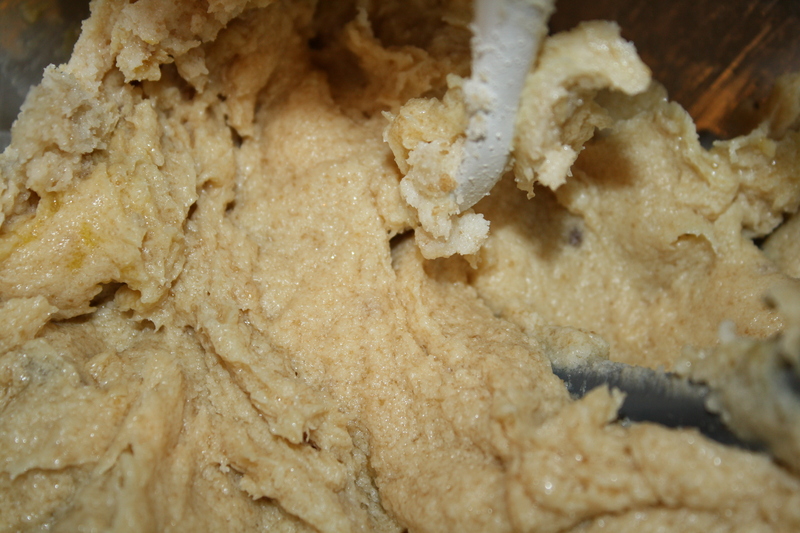 After it had chilled for an hour, it was a bit easier to work with, though it was still a rather delicate combination. 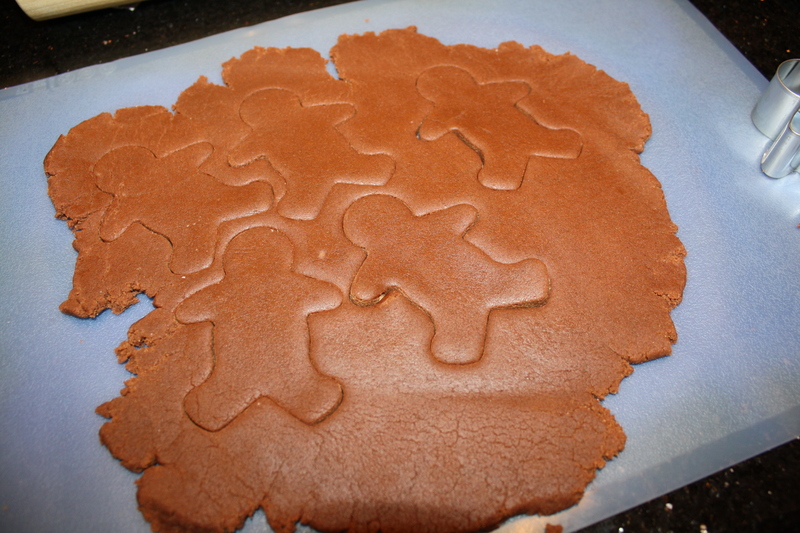 I rolled bits of the dough out onto a silicone mat (for easier cleanup) and then used a gingerbread man cutter to shape the cookies. 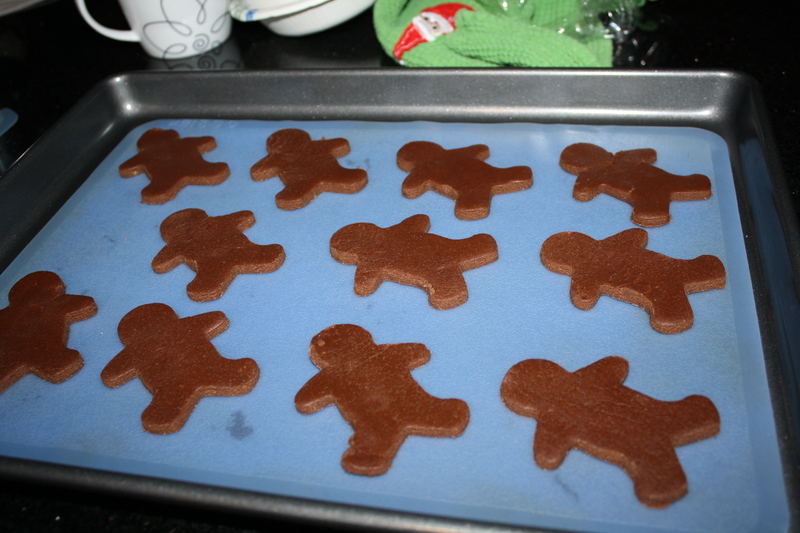 The men went into the oven, and unlike some of those ornery gingerbread men I’ve heard of, none of them ran away. 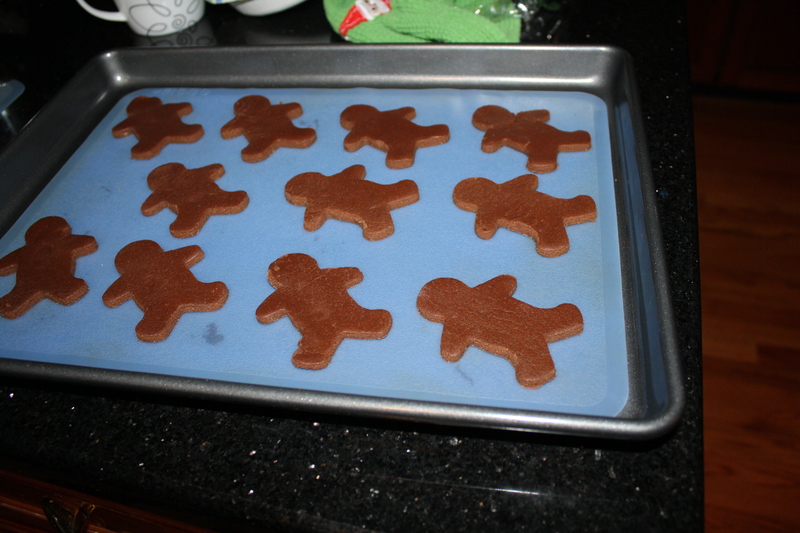 After seven minutes, they came out of the oven to cool. 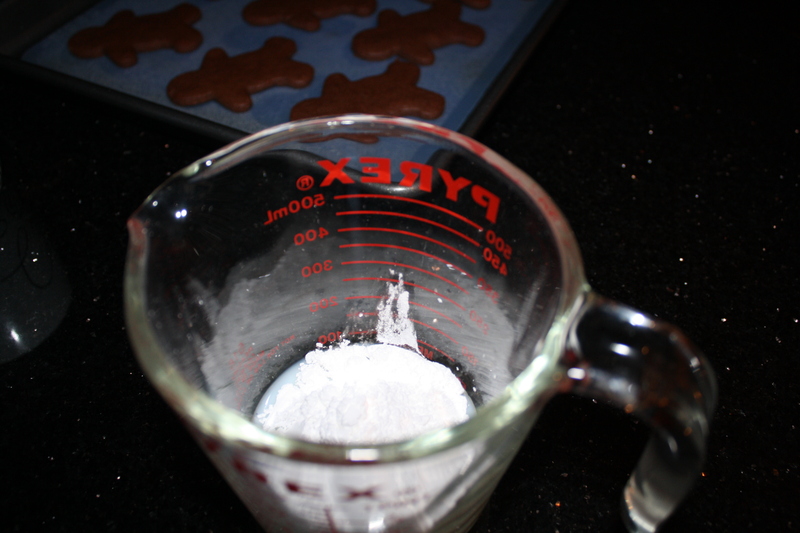 Once they had reached room temperature, I mixed the icing in a small bowl. 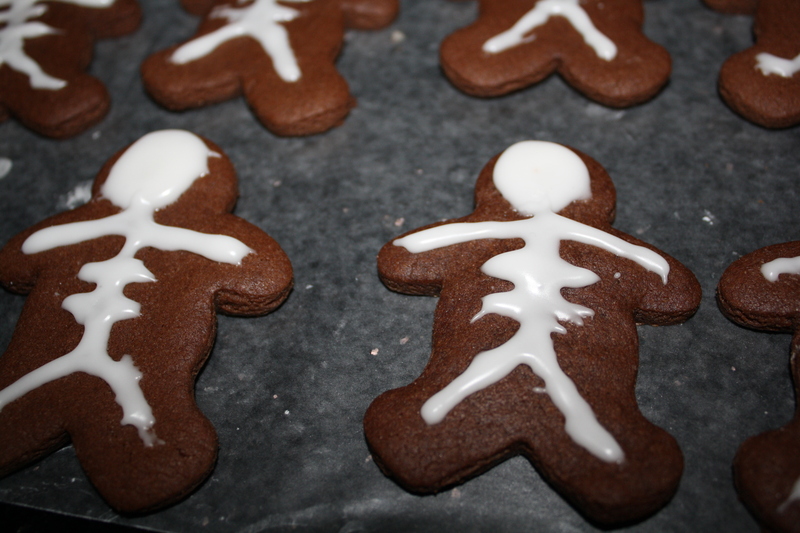 Then, because I didn’t believe that a resealable plastic bag would give the control required to pipe the skeletons as gorgeously as the photo, I used an icing gun. I love this thing. It is so easy to use and to clean. I still wasn’t happy with the control factor though. 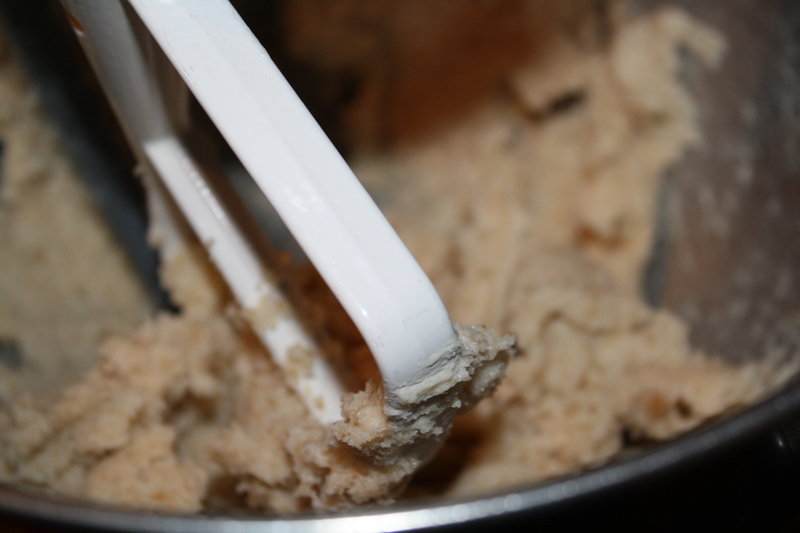 So I tried again, using a chopstick as an icing “quill”, if you will. 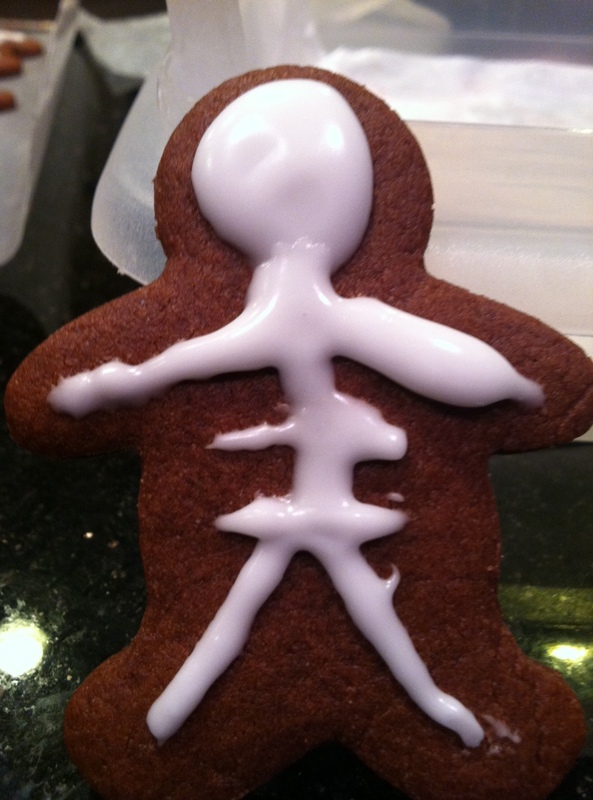 Still not perfect, in fact, I am convinced that the original photo on Pinterest was most likely done by a professional baker.